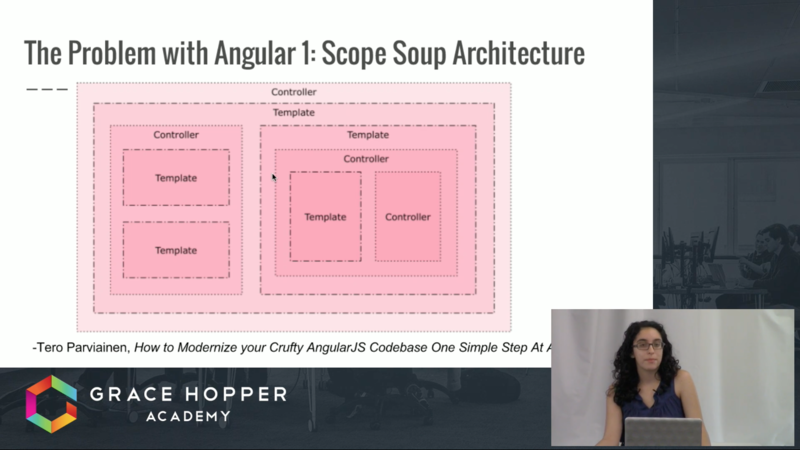 In this video, Galen Corey talks about some issues with "Scope Soup" architecture in Angular 1, and how to fix this using a component-based architecture. These strategies can also be applied to make Angular 1 code easier to update to Angular 2. The main focus is on using new tools from Angular 1.5 to complement a component-based structure.